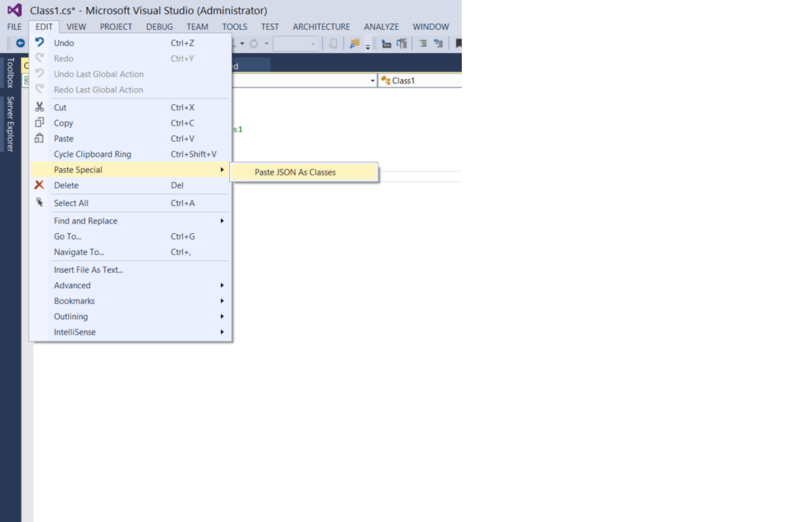 A nice ability was added to Visual Studio 2012 (With ASP.NET and Web Tools): pasting a JSON string on Visual Studio as classes. This shortcut could save a lot of time, having a certain JSON, that needs to be parsed on the server, built automatically by Visual Studio as classes the JSON contains. and copied it to my clipboard. On Visual Studio, I created a new class, but erase the class that was created, as the VS will create the classes according to the JSON. 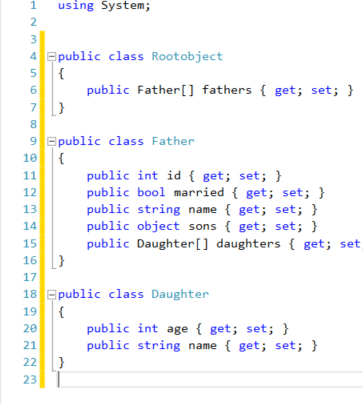 If, like the top level here, a property doesn’t have a name, the class gets an arbitrary name, like Rootobject here. Thus, the property here is called fathers, and not Father. This trick should work for XML as well. I’ve seen this cool and useful tip in a lecture given by David Catuhe & Jon Galloway about ASP.NET and AngularJS. Worth watching or listening. Catch is here. 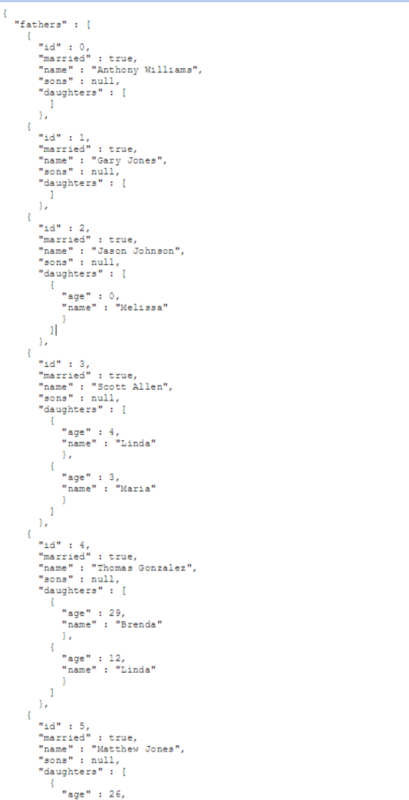 This entry was posted in .NET and tagged ASP.NET, C#, JSON, Visual Studio by Mashav Balsam. Bookmark the permalink. Copyright © 2019 TechedUp Blog . All Rights Reserved.